Click on the forum button at the top of the page and register. I am extremely new at this. I am looking to grow outside for medical reasons. I am in pain daily and I am so tired of taking pills. I want natural pain relief. Any and all suggestions please. I don’t know what type od seeds to buy. I don’t want to be sleepy and I would like to be alert as well. Thank you in advance. Hi Christine. You would benefit from joining our forum. 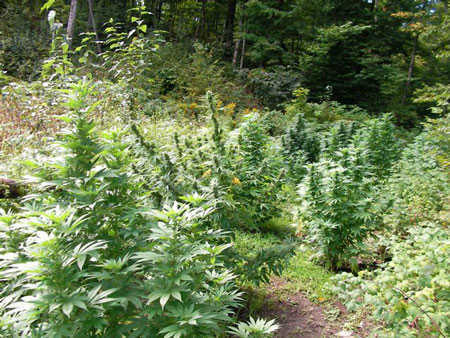 You are going to have a lot of questions and we have a whole section for growing outdoors. There are experienced growers from around the world who could maybe help you through the process. Great article , thank you very much for the info!. Ill try to grow here, in Spain. 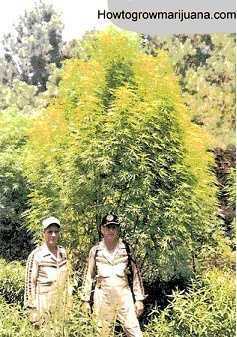 I would like to grow a light strength weed for medicial purposes. I live in Northern Alberta. What seeds would you recommend and where would be the best place to purchase?? been feeding my plants 20-20-20 all summer .I was told I need to switch my feed to something to boost bud ,so will 10-52-10 be good? If not what can I use? I’m not really sure how to tell if it’s male or female. This is my first time growing and i planted a batch about 6 weeks ago. but not sure if it’s too early to tell. Being that the rest of the plants haven’t sprouted anything … can i upload a picture of my bud for assistance? And is it best to just completely pull the male plant out? HI Don. Try joining the forum. You can upload pictures there and other growers will be able to help you more easily. It really is a great place for help and advice as well as a great community. Im going to be using plant pots and growing in my back garden, should i create a netted frame to avoid insects eating away at my plants? Like four sticks on each corner and a material with tiny holes like what scaffolders use for example….. …??? They are going to be in the 28 degrees sun for a good 12 hours a day and then stay outside for the cool night.. Is this okay? Any advise / constructive critisism would be appreciated! hey, if your plant is healthy enough, which it should be if you’re fertilizing with really rich, living compost, it will repel pests like mites on it’s own. Marijuana is about to be legalized in Oregon here in July and I have been saving seeds for awhile waiting to plant them legally. BUT, my mom isn’t okay with marijuana. Is there any way to be “stealthy” when it comes to the drying and curing process so i could still grow some? I have a good location to grow, I am just unsure where i could put them to dry and cure. Try getting a big cardboard box and hanging it upside down inside the box. This should work just leave the box in the woods for a week safe from rain and have protection under the box for any loose buds that fall. This may not be the best way and honestly I’ve never tried it but it seems like it would work to me. I’ve been caught before by my parents haha so I haven’t got around to growing again yet but I’m getting seeds soon. Hey man, I wouldn’t be growing if your mom isn’t cool with it. Respect the house, she pays the bills I’m assuming, not you. If you want to grow get your own place, or come grow at mine. I an am first-time grower. I planted three seeds about two weeks ago. I. Think I have some saplings. I hope so. I am growing them in a planter. It’s on my patio and gets Sun all day long. I don’t have nosy neighbors and I do have my med card which allows me to have plants. Any and all advice would be much welcomed and appreciated! ?? ?…should I b feeding it like I would if I were growing a tomato? Like with miracle grow acid formula?